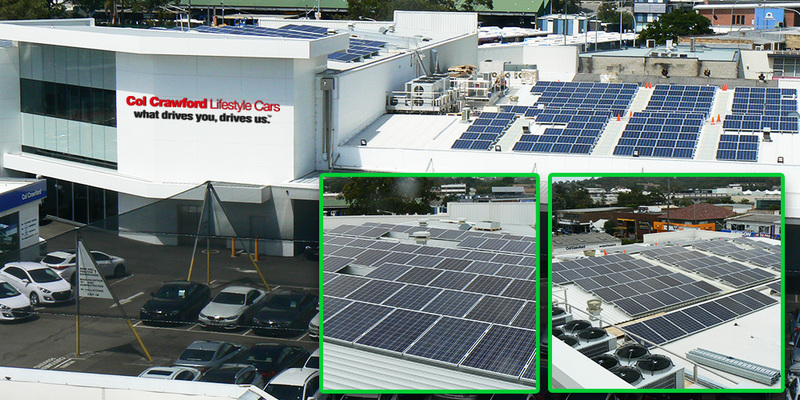 Phase 1 of our project that has 368 solar panels placed on top of our BMW showroom and workshop. Phase 2, to be completed in 2 months’ time, will have solar panels on 4 other buildings. We will be able to produce over 370000 kWh p.a which is approximately 35% of the energy we consume at our Brookvale facility. On top of this we have undergone numerous LED Lighting upgrades on our buildings saving us over 290,000 kWh p.a. In total we will reduce our overall consumption by approx. 660,000 kWh which is roughly a 60% reduction in our total use. This is the equivalent to the amount of electricity consumed by 63 average Australian households. Further to the above we are quite excited about the impact this will make with our customers, local business and the community in general.